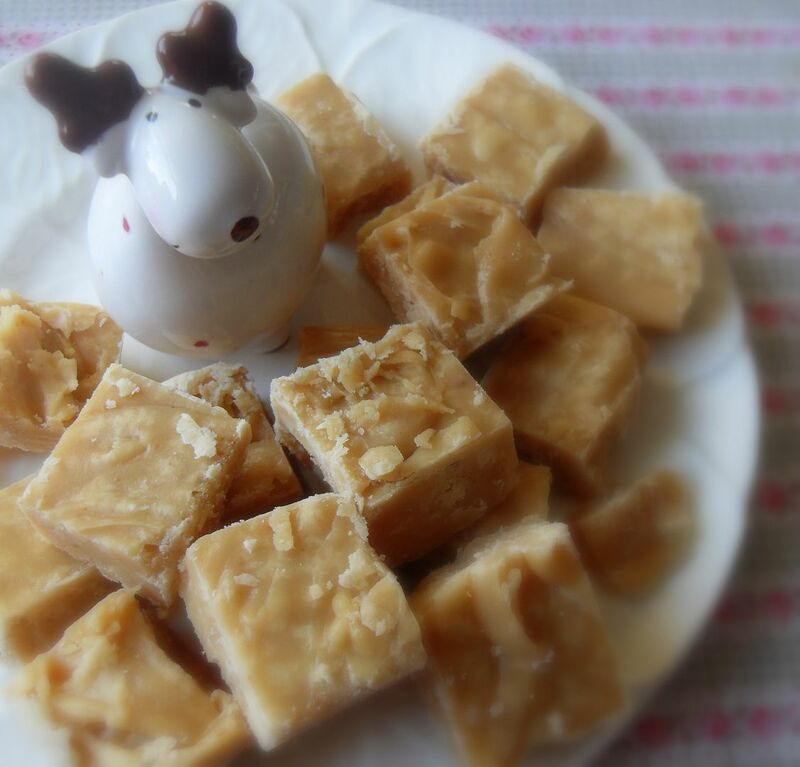 One thing my mother always made at least once during the holidays was peanut butter fudge. It was never chocolate or any other kind . . . always peanut butter, but we didn't mind because we loved it so very much. It was a real treat! She always made it in the same pot, an old aluminum one that she had gotten in her original set of Wearever cookware back in 1955. I think it cost almost as much as a house, but here we are 2011 and she is still using it. Money well spent, I'd say! She never measured anything. She didn't need to . . . it was all done by memory, and she knew exactly how much of each thing she needed to add by sight alone . . . and it always worked like a charm, every time. (Me . . . I made fudge sometimes for my children when they were growing up, and 9 times out of 10 they'd end up having to eat it with a spoon. We'd watch her as it went together . . . as if by magic . . . and then sometimes she would let us beat it when it was ready, with her big old wooden spoon . . . if we'd been very good . . .we'd be given the pot and spoon to lick clean . . . we did a pretty good job of that, coz it would always be as clean as a whistle by the time we were done.